Paul Rice attended the Futures Foundation annual Caribbean Feast on April 30 to raise funds for public education. 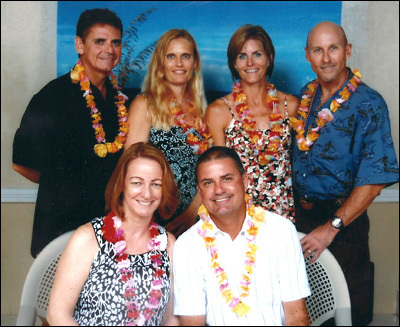 Paul Rice, top right, attended the Futures Foundation annual Caribbean Feast on April 30, 2010 to raise funds for public education in Volusia County. This is the sixth year in a row that the Rice & Rose Law Firm has sponsored the event. Pictured here standing, from left to right, are John and Kim Dodd and Kristi and Paul Rice and seated are Ellen and Mike Cain. Given the funding cuts imposed on public education by declining tax revenues, private donations are more important than ever. For more about the Futures Foundation for Volusia County Schools or to make a donation, click on the following link: http://futuresvolusia.org/.